There are many reasons why not to eat McDonald’s Burgers and fast food in general, but the fact that they don’t seem to rot shouldn’t be one of the according to this experiment by Serious Eats. It seems that most burgers when left out, dry out too quickly for mold or bacteria to grow. The cars in Georgia Microcar museum went up for auction in February 2013. 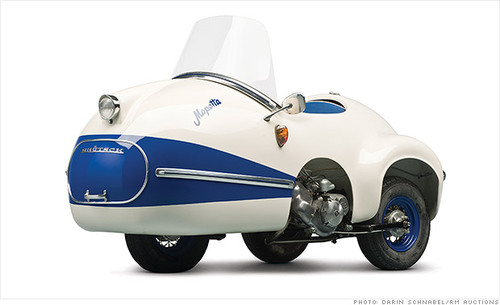 CNNMoney has pictures of 20 of these awesome little vehicles.